Dober's GreenFloc natural coagulants are developed and manufactured in house with a focus on providing you with a solution that is right for your oily waste stream. The core tenets of an effective water treatment solution are performance and cost. We’ve been developing demulsifiers specializing in oil water separation since 1975 that double down on performance. This ensures the optimization of contaminant removal onsite, while also providing an environmentally friendly solution. Our natural coagulants we use are not only better at breaking emulsions, they are also better for the environment. There are no fillers in our products; only components focused on removing contaminants from your water. An added benefit of packing a lot of punch in our products is you’ll have less empty drums and totes in your facility, not to mention you’ll pay less on shipping! Trial and error with jar studies is still the most common and effective way to select the proper demulsifier. We go further by testing more than just a typical sample ‘kit’. We do this by providing you with the services you need and the best chemistries for water and oil emulsions in the marketing today. Download our case study to learn how Greenfloc demulsifiers reduced sludge and saved 35% in chemical costs at a food & beverage plant. 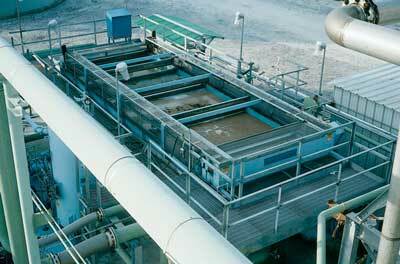 Wastewater is generated from coolant oil waste, plating operations, baths and rinses to name a few. Clean water is critical throughout the process. Regardless of the stage, there are significant water demands and resulting effluents. Water plays a large role in all areas of oil and gas production. Whether you’re dealing with upstream or downstream treatment, Dober has a solution to help the oil and gas industry reduce the amount of chemistry used while maximizing cost effectiveness – helping you to accomplish more with less. Process water is used in industrial plants, industrial processes and production facilities following extensive water pretreatment such as softening or demineralizing. The objective of treatment to process water is to be able to recycle the water for reuse and feedback into the industrial process. Process water created from the mining and mineral processing industry is commonly contaminated with suspended solids, metals acids and salts. In the food and beverage industry, wastes are commonly biodegradable and non-toxic, however, there are usually high concentrations of biochemical oxygen and suspended solids, surfactants, antibiotics and growth hormones, and oils and fats incorporated in the water, creating the need for a complex treatment process. Much of the wastewater contains very high pollutant concentrations, which are extremely difficult to treat, such as emulsified oil. Industrial processes frequently subject oil to chemical and mechanical action causing it to be dispersed into the water. 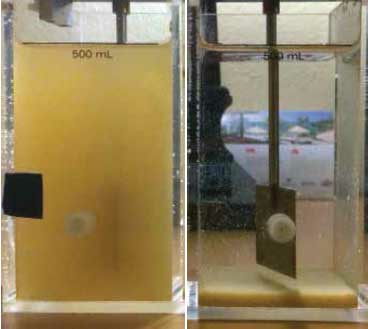 This emulsified oil does not simply float on the surface of the water and must be removed using more intense treatment techniques. Compared to Dober's GreenFloc natural coagulants, traditional synthetic polymers, like polyDADMAC or polyamines, require more product while treating water less effectively. Our products are effective at lower treatment dosages, allowing you to decrease your product use and lower your overall use cost. GreenFloc natural coagulants are derived from all-natural, plant-based materials making them sustainable, carbon neutral and always renewable.